A lot has changed since we started in 1957. Hamilton has grown to over 520,000 people, Ivor Wynne is now Tim Hortons Field and art is the new steel! All this incredible growth and our business has been through it all. We started on the corner of Bay and King when real estate was affordable and customer relationships were the cornerstone of our business. We have successfully outgrown facilities and kept our customers as friends by being accountable to our actions, running our business fairly, and opening the door when opportunity has knocked. 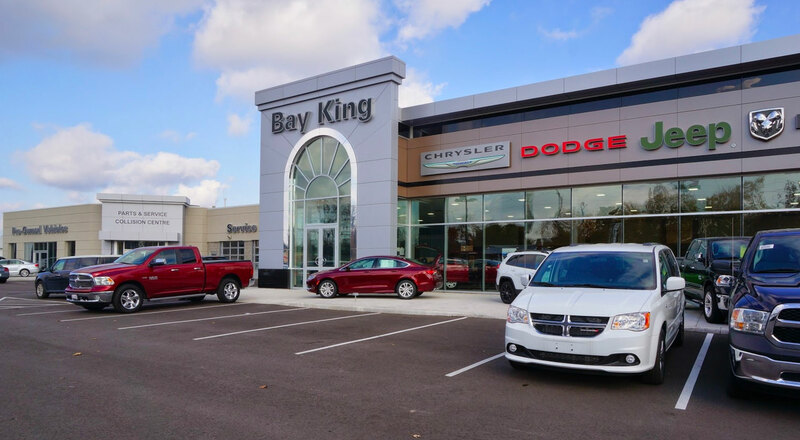 Bay King Chrysler will continue to be the industry leader in Hamilton because it this is what we know how to do, and we do it best. So for those who call Bay King home, come by for a coffee and visit us, and if you're just getting to know who we are... the door is always open and we would love to start a relationship with you. We remain loyal. GIVE US A CALL AT 905-383-7700 OR VISIT US AT 55 RYMAL RD E!